According to reported sales figures so far for the 2011 holiday season, retailers have cashed in. Online sales are the highest they’ve ever been for the months October through December. Bloomberg reported that Black Friday sales increased 6.6 percent to the largest amount ever as U.S. consumers shrugged off 9 percent unemployment rates and went shopping anyway. Consumers spent $11.4 billion on Black Friday alone. Continue your success post-holiday season. So, how do you either continue your success or increase flat sales after the holiday season? By strategizing how to target the dollars still out there! Experts seem to agree that this year's diligent planning due to the tough economic conditions paid off, including earlier promotions, one-day or “Lightning Cyber Deals” and free shipping offers. Online retailers better integrated their marketing with social media this year (example: a Facebook “like” generated coupon or special promotion). This has greatly contributed to getting consumers to open their wallets. The good news is: there is still a lot of money to be spent! People receive cash and gift cards as holiday presents. Now they are shopping for themselves, and they may look for products they didn’t know they wanted before Christmas. So, what should every brand be doing now to keep the momentum moving into 2012? Attract the spending to your website. Here are some tips for your post-Christmas marketing. Send your customers an email inviting them to return to your site. Keep in touch with your existing customer base. Let them know about any after-the-holidays specials you are running. Existing customers have already purchased from you; if you offer them a personal promotion, they are more likely to buy again. Create coupons or January/February offers that will attract business. People love a deal, and they are looking for them after the holidays. 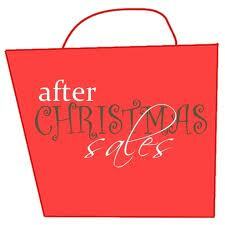 Everybody knows that certain items are deeply discounted after Christmas: jewelry, clothing, seasonal items, etc. Because of the down economy, consumers budget to spend on those items after the holidays. Perhaps your product or service can segue into the post-holiday savings segment? The prospect of a “deal” can certainly motivate sales. Continue to advertise and drive online traffic. Keep up your efforts. The pool of online activity decreases after Christmas, so you’ll have to make sure your brand retains visibility. At this time, you may be able to attract more passive “window” shoppers. Consider using pay-per-click advertising. Be willing to give your customers those little extras - a bonus item with purchase, free shipping, etc. It will be the extras that keep customers coming to you and telling others through word-of-mouth. In addition, you could add services like Live Support to ramp up trust with your prospects. This may be the perfect time to add interactive enhancements, such as web video. Build buzz through social media. In a world where people increasingly turn to others for input, a positive endorsement can be your best and most trusted sales tool. Encourage those who had a good experience with your product or service to share it across the social web - possibly with an incentive. Remember, Christmas isn’t the only holiday with sales spikes. Valentine’s Day and President’s Day are coming up … Don’t stop marketing after the holidays, because sales are an all-year event. Contact LyntonWeb, and we can get active developing your sales/marketing strategy for the New Year!